One of the most effective ways to build wealth for the future is by saving and investing. However, not all investments are tax-free! Furthermore, in a few cases, one also has to pay tax on the income generated from those investments. Thus, before choosing an investment product, apart from looking at factors like its liquidity, safety and returns, it is also essential to gauge its income tax liability. Because if the income generated from an investment is taxable, the resulting taxes will swallow up the returns and so the scope to earn money over a long-term gets limited! 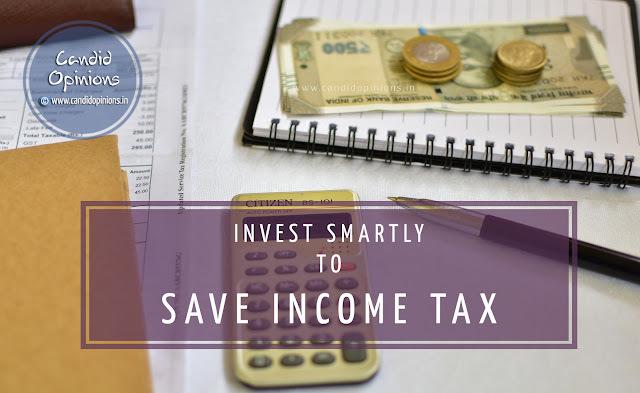 Therefore, ideally, an investor should look for those investment products that not only help in saving income tax but also generate tax-free income (i.e. the ones that come with E-E-E status -- Tax Exemption on invested amount, Tax Exemption on returns, Tax Exemption on withdrawal amount). In such investments, the principal amount invested qualifies for tax benefit under Section 80C of the Income Tax Act, 1961, additionally the returns (income generated from these investments) too are tax-exempt under Section 10. ULIP (or Unit Linked Insurance Plan) is a unique investment tool in that it combines life cover and investment! It is basically an insurance plan that doubles up as a tax saving investment option wherein a part of the premium paid by the policyholder is invested in a mix of debt and equity funds in varying proportions as per the investor's choice. It also allows inter-fund transfers by the investor within one plan through switches, thereby safeguarding his returns from the market volatility. A traditional insurance plan can only provide life protection and tax benefits but it offers very little scope to create wealth for the future. On the other hand, although mutual funds can give good returns on the investment, they come with limited tax-saving opportunities and with no life cover. Similarly, traditional tax saving options like PFs may not be able to generate inflation-proof income over the long run. ULIP bridges the gap between these investment options. Furthermore, apart from providing triple benefits of savings, earnings and security, ULIP also helps in generating tax-free income. In fact, as an investment tool, what makes ULIP stand out from all other market-linked investments is that the returns from even a debt fund in ULIP are tax-free! So if you are looking for a reliable way to create wealth over the long term as well as save income tax, ULIP is worth the choice, given its substantial returns, life protection and tax savings. Basically, a Mutual Fund scheme, ELSS or Equity Linked Saving Scheme is one of the most sought-after tax saving investment instruments, especially favoured by young investors. For the premium paid for the ELSS mutual fund, an investor can avail tax benefit up to Rs 1.5 lakhs per year under Section 80C of the Income Tax Act, 1961. Also, compared to the other tax saving investment options, an ELSS has the shortest lock-in period of 3 years. Being dependent on the performance of equity markets, an ELSS may not offer fixed or assured returns. However, it offers the potential for high returns. An ELSS gives an investor two options to choose from Dividend or Growth. One may find the Dividend option more suitable if he is looking for a regular income (not assured though) whereas if he is looking to create wealth or to fund long-term goals, the Growth option would be better for him. Furthermore, an ELSS also gives an investor the option to invest either in a lump sum or using SIPs (which makes the overall investment easy and affordable). As a tax saving investment option, Public Provident Fund (PPF) is quite a popular choice among several investors but mostly favoured by conservative investors with a low-risk tolerance who do not want volatility in returns. One can open a PPF account in his/her own name or on behalf of a minor of whom he/she is a guardian, at any post office or bank. And he/she can invest as low as an annual amount of Rs 500 to a maximum of Rs 1.5 lakhs in a financial year in that PPF account. Furthermore, this investment can be made either in a lump sum or in a maximum of 12 instalments per financial year. Another noteworthy advantage is that both the principal and the interest earned have a sovereign guarantee and the returns too are tax-free. Those looking for a short-term tax-saving investment may not find it suitable since a PPF account has a lock-in period of 15 years. However, at the request of the account holder, the PPF account can be extended indefinitely by blocks of 5 years each. Although basically a retirement benefits scheme, but the Employees’ Provident Fund (EPF) is also a great investment option for salaried individuals who wish to save tax as well as accrue tax-free corpus. And it's a safe option as well since the returns of the EPF are guaranteed by the Government of India. Under the EPF scheme, an employee makes a mandatory contribution of 12 per cent of his/her basic salary to his/her EPF account each month and an equal amount is contributed by the employer too. However, only 3.67 per cent of the employer's contribution goes into EPF while the rest gets added to the employee's pension fund account. An employee can avail tax benefit upto Rs 1.5 lakhs in a year for his contribution (12% of his basic salary) to the EPF account under Section 80C of the Income Tax Act, 1961. In fact, the EPF has EEE (exempt-exempt-exempt) status. The money in EPF account has a sovereign guarantee and the interest earned is tax-free too. The EPF interest rate is determined by the Government of India and currently, it is 8.55 per cent. Launched in 2015 by the Government of India as a part of the 'Beti Bachao Beti Padhao' campaign, Sukanya Samriddhi Yojana (SSY) is a small saving scheme through which the parents of a girl child can save and build a corpus for the future education and marriage expenses for their daughter. The tenure of the Sukanya Samriddhi account is 21 years from the date of its opening but the premature closing of the account is allowed in case of the marriage of the girl after she turns 18. A Sukanya Samriddhi account for a girl child can be opened any time after her birth until she is 10 years old, with a minimum deposit of Rs 250 and a maximum of Rs 1.5 lakhs can be deposited in the account in a financial year. The Sukanya Samriddhi account enjoys exempt-exempt-exempt (EEE) status and is currently fetching an interest rate of 8.5 per cent. So the parents of the girl can avail tax benefit for their contribution to the Sukanya Samriddhi account under Section 80C of the Income Tax Act, 1961. The maturity returns too are tax-free. No wonder, smart tax planning becomes crucial in order to effectively plan for a better financial future. Therefore to enjoy the combined benefits of wealth creation, value appreciation, liquidity and tax savings, an investor may choose any one or more of the above listed tax-saving investment options. Hey buddy, you haven't mentioned anything about NPS National pension Scheme. NPS also helps in saving Income Tax, isn't it? @Raman, yes, definitely ULIP is safe. However ULIPs are not meant for short-term investments, rather if invested for long term periods over 10 years, they will give you very good returns. Plus the income generated is also tax free. Over the years, due to unscrupulous agents, ULIPs have became a victim of mis-selling. I agree that the charges sometimes might seem as not too transparent but the investors too have to understand that they are paying for both insurance as well as premium for investment. Moreover in case of ULIP, you get the option of switching between funds. You don't have such an option in case of ELSS. @Vishal, currently, the NPS corpus is taxable at the time of withdrawal, thus PPF is a better option.